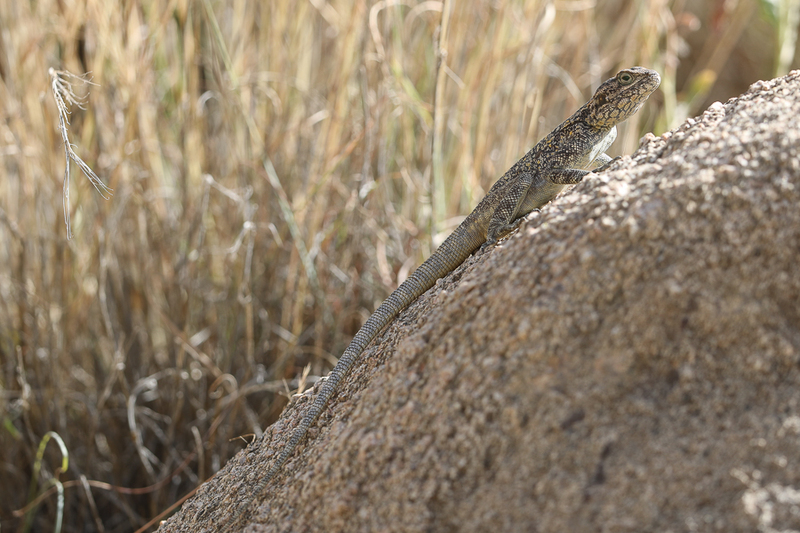 Whilst birdwatching in the Taif area recently I came across many Anderson’s Rock Agamas. This species is endemic to the Arabian Peninsula, where it is found in west and south Arabia, from Taif (Saudi Arabia) in the north to Dhofar (Oman) in the east. It is found to around 2,000 metres above sea level. It is common in Saudi Arabia where it is a rock dwelling lizard mainly present in mountainous areas. 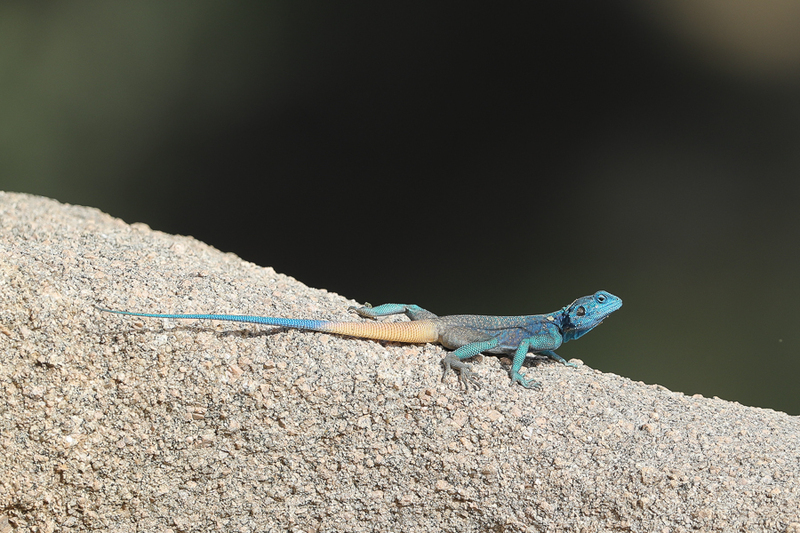 Populations can be found on vertical rocks, rock steps and amongst boulders where they appear to prefer large boulders in the vicinity of water in precipitous wadis surrounded by dense vegetation. They do not however require water, obtaining moisture from their insect prey. Are they sexually dimorphic? Blue one male?